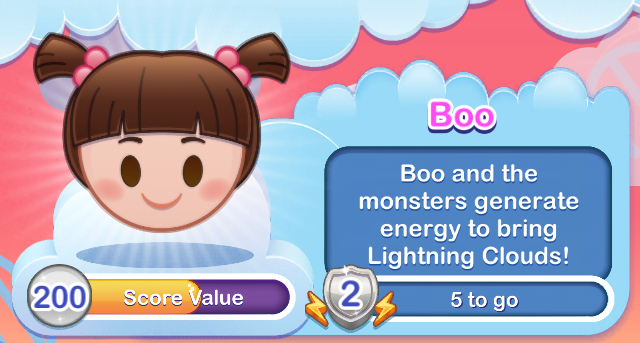 Boo and the monsters generate energy to bring Lightning Clouds! Monsters scare children to collect screams, which they use to power their world. Sorry, Boo. You understand, right? It’s nothing personal! Each time you use Boo’s power, Randall, Sully, and Mike will take turns scaring her – or at least trying to scare her. Googley Bear! Adjacent Celia and Mike emojis get heart-eyed and give extra time. 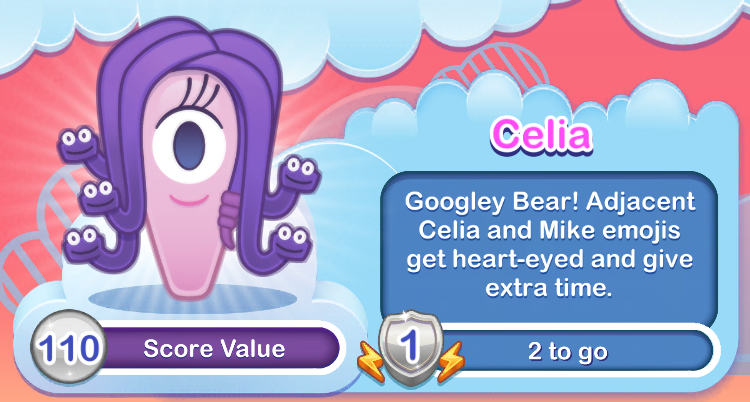 Celia is Mike‘s girlfriend. They are headed out to enjoy a romantic dinner at Harryhausen’s. When she is happy with him, she calls him “Googley Bear” or “Googley Woogley.” When she is upset, this Gorgon-Cyclops-Medusa-like monster calls him by his full name, Michael Wazowski. Let’s try not to do anything to upset her tonight, Mike! Sneaks a bunch of Randall emojis onto the board. Randall’s regeneration power makes it easy to create powerups. Rolls and bounces, clearing emojis as he goes. 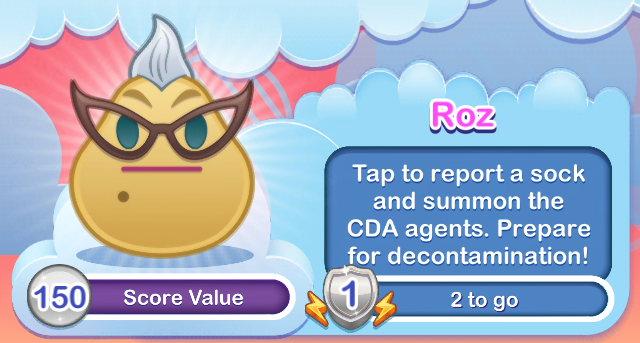 Sulley roars to scare random emojis off the board! 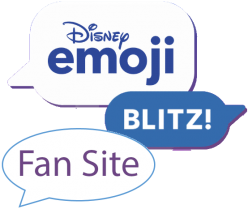 James P. “Sulley” Sullivan’s power will scatter random emojis from the board.